Quickbooks Training & Consulting | Jennifer Rau, CPA, EA Accounting & Tax Services, Inc.
Jennifer Rau, CPA has been teaching accounting and successful Financial Management Skills to business owners for over 13 years. Jennifer is an Advanced Certified QuickBooks Proadvisor and is certified in QuickBook versions 2003 through 2017. Through individualized consultations business owners learn practical, easy to implement, financial management skills, utilizing the user friendly and flexible QuickBooks Accounting program. Each training session is designed to address the key financial and management issues that are of concern to business owners in their specific industry. Jennifer has consulted with hundreds of business owners on an individual basis; developing specific solutions for the financial challenges each owner faces in their individual business. QuickBooks Setup- You just started your business and realize your not quite sure how you should set QuickBooks up for your business needs. You're not alone, and many small business owners have discovered that working with a ProAdvisor makes using QuickBooks far easier and less painful. Jennifer will listen to what you do in your business and translate that into a QuickBooks database that works for you. QuickBooks Clean-up-You've been using QuickBooks for months or even years, but you suspect that something isn't right or it isn't giving the information you need. Jennifer will listen to your concerns and needs and then correct your QuickBooks file so it's clean and understandable. QuickBooks Check-up- Even for those who use QuickBooks correctly, tricky transactions and time consuming processes can be corrected through regularly scheduled quarterly meetings. QuickBooks check-ups assist your accounting system in staying accurate, timely, and reliable to your business. Learn easy to understand, real world solutions, for managing the financial growth of your business today ! 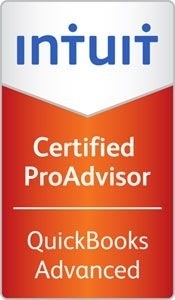 Click here to see Jennifer's profile on the QuickBooks Proadvisor website.